Kalatop Guest House, is located in the hill station of Dalhousie in the state of Himachal Pradesh. Situated on an elevated height, this place makes an ideal tourist destination. Tourism is the main economic source here, and the majority of the town is involved in this industry, directly or indirectly. Tourist attractions to see in Dalhousie include Karenelu, Khajjiar, Tibetan Market, Kalatop forest, Lohali village, Salooni, Bakrota Hills etc. The city itself was constructed in the year 1854, by the British General Governor, Lord Dalhousie. It is from him that the hill station receives its name. There are various hotels and resorts here to accommodate all tourists. Kalatop Guest House is one such famous place to spend the night. It is located in the Kalatop forest area and is maintained by PWD and the forest department of the state government. Covered by trees and grasslands, it serves as a beautiful location to lodge and board. It is always frequented by tourists. It is one of the most prominent guest houses and maintains a clean and homely atmosphere. Book rooms well in advance, especially during holiday season. It is always full during this time. Carry thick winter clothes, as it tends to get cold due to the surroundings and the all-season climate. Rest after a tiring day out. Take some photographs of the surrounding area. Take a walk or trek. Visit the Kalatop Khajjiar Wildlife Sanctuary. Guides are not available, as they are not required. 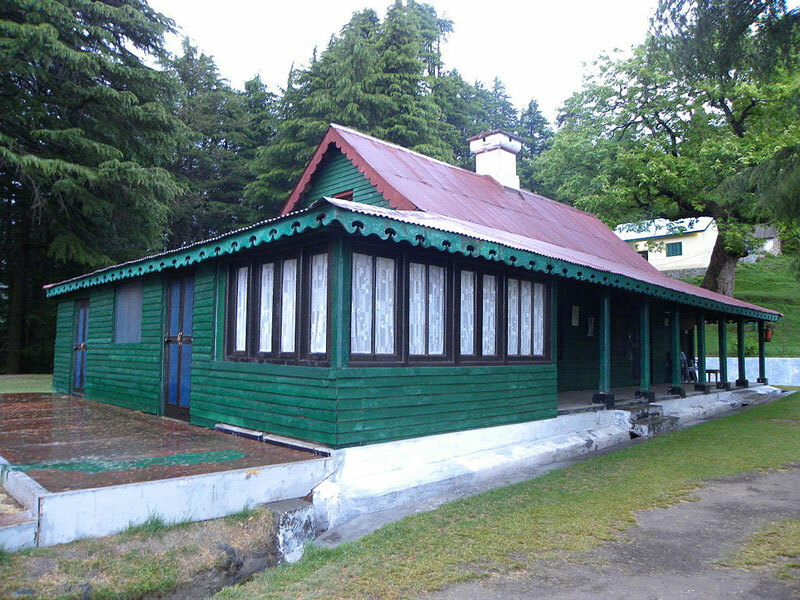 The best time to visit Dalhousie and Kalatop Guest House is during the summer months, February to May. The weather is relatively pleasant during this time, and the climate is better than in metropolitan cities. If you want to experience the cold and snow, visit during the months of December and January. That will give you a surreal experience, as Dalhousie will be covered with a blanket of snow. Kalatop Guest House is located in Kalatop Khajjiar Wildlife Sanctuary. You can reach Dalhousie by private car or taxi. The guest house is located at a distance of 6 kms from the main city. The other way to reach here is by trekking for around 3 kms for Lakkar Mandi. You will need to park your vehicle there. The check in time is 12 pm. It is spread over approximately 3 acres of plain grasslands. It is surrounded by pine trees. There are rooms, huts as well as a bungalow for accommodations. There are a total of 8 rooms. It holds a commendable 74th position out of the 130 hotels in Dalhousie. It makes an exotic honeymoon destination. It is a pollution free zone. It was built in the year 1925 by the Britishers. Kalatop Guest House has all modern amenities and facilities like a fitness centre, swimming pool, restaurant, conference rooms, indoor games rooms, outdoor games, rain dance facility, a travel help desk, restaurants serving both vegetarian and non-vegetarian food, internet café etc. The rooms are well furnished and have facilities like tea and coffee machine, housekeeping services, air conditions, television, wakeup call service, complementary newspapers, bathroom, hot running water etc. Even though it is located a little away from the city, it is a peaceful and serene stay.